Glasser, Robin Preiss. Good. 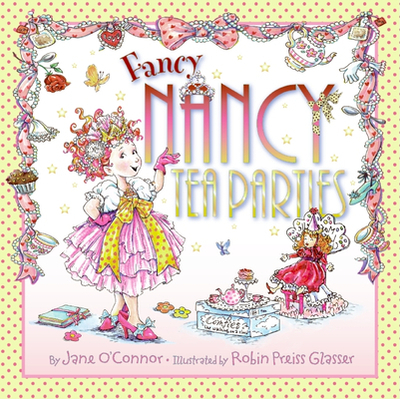 Fancy Nancy Tea Parties by O'Connor, Jane, 2010-11-22. Picture book. Sewn binding. Cloth over boards. With dust jacket. 27 p. Contains: Illustrations, color. Fancy Nancy (Promotional Items). Intended for a juvenile audience. All pages and cover are intact. Spine and/or cover may show signs of wear. Inscriptions or marks are on the inside front cover and/or face page. ~ Goodwill Industries of Greater Grand Rapids, Inc. is a non-profit organization dedicated to changing lives and communities through the power of work.